You would have kept the discussion in PM with faked renders to tell me wrong and it may have worked. There is no reason for me to lie to you because this problem would have been noticed by others and that would have caused even more problems. The issue your developer was mentioning is probably right, in my case though, it was not as strong as on the images you posted (as you can see in the video) so that I didn’t think that that would be your problem (as my flowers just didn’t turn white). We all told you there is no problem because we could not identify one, I sent your blend file to all our tester and there was no complaint whatsoever. I am deeply sorry for the discomfort, but it feels very frustrating and unjust, to now blame us a liar or similar. I hope the next time there is an issue like this, it would be possible to just settle it maturely and not by blaming each other. We do what we can, and I always told you that. Next time, if you have identified an issue (which we weren’t able to do), simply tell us what you think it is, and then we can constructively take a look at it. 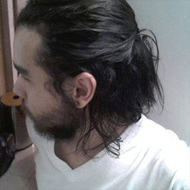 Is this ok for you now? P.S. 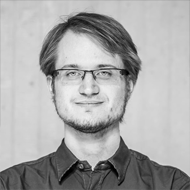 even without the development fund, new visitors on the blendermarket will still help blender. 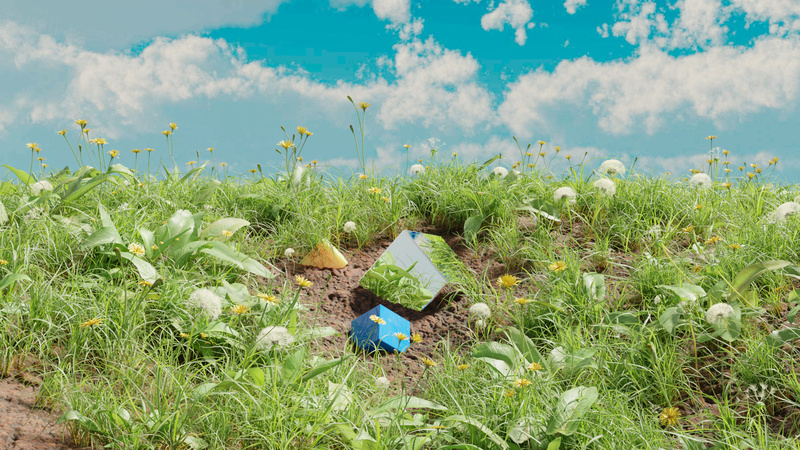 The alternative would be to sell this via gumroad only (which is way more lucrative), but this way, 30% of the sales go to the blendermarket, which will definitely will help blender in long term. i love to see bushes in your addon. For example it could be drawing line with grace pencil and addon would convert it to vertex mesh and place bushes on vertex. this would be great for hedges. Next step could be trees. You should make your addon a solution to making gardens for architecture renderings. Edit: most problems fixed in 1.14 (Automn Awkbit and mosses still have issues). As I mentioned in PM it was a very unique situation that revealed the issue, 128 bounces is a lot. That + the strong hdri is what revealed the bug. Without that many bounces, the issue does not come up. Also, the blend your sent me included the hdri you used (unlike the one you sent Julius) and hdri was critical in this case. Yes there is an issue, yes it is being fixed. And let’s try not to antagonize, there was a misunderstanding. 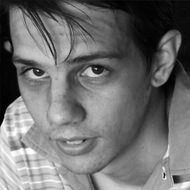 My position did not change when a cycles dev was mentioned. It ‘changed’ when I received a .blend. It was obvious there was an issue, I simply knew not where. Just curious … can these products react to wind and breeze … and can they do so in other programs like 3ds Max? Not officially yet, you can go into particle system settings and enable hair physics, but there is no Graswald way of doing it as of now. decent while before a dedicated physics update is released. 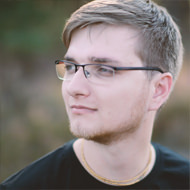 As for 3DS max and other software, I am unfamiliar with them, and it is Julius who is making the fbx version, so he is better equipped to answer that question. You can import the models as fbx files to 3ds Max and then with their internal settings let them be affected by wind etc. A special support in that case for wind effect in 3ds Max is not planned, though. loading same scene into 2.8 i realised much better viewport performance. In 279 iam almost unable to navigate in 3d view all assets switched to visible but in 2.8 its very fluid. Are there any plans to port gw to 2.8 when ready? What HDR are you using there? I love the clouds and colors. By the way, are there any plans to allow users to add custom models? Even if there are not several detail levels, etc. 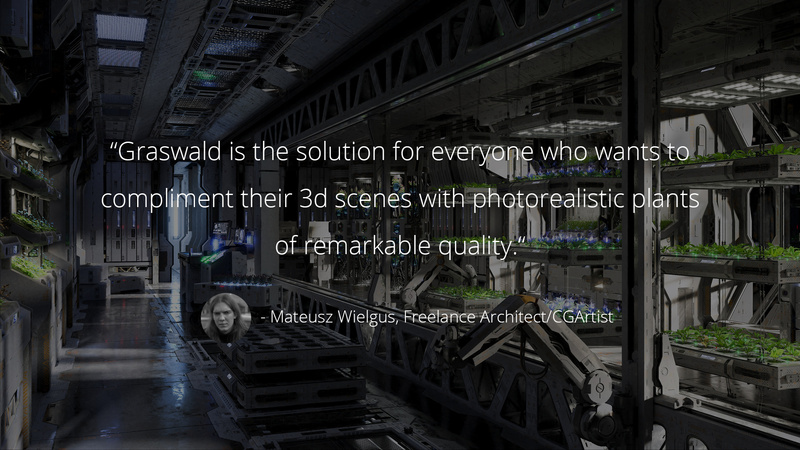 It is finally there: You can now get the Graswald Asset Library (just the assets) to use in your favorite 3D application on gumroad and the blendermarket! 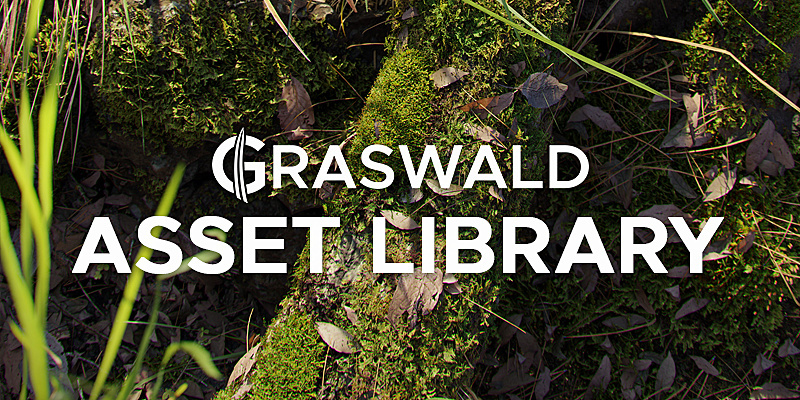 Graswald is a professional high-quality asset pack containing different species of weeds, grass, and moss as well as various kinds of debris. If you are a Blender user, be sure to take full advantage of Graswald's powerful blender integration! This version is for everyone, who's not (primarily) a Blender user, but still wants to enjoy Graswald models in his/her favorite 3D application. 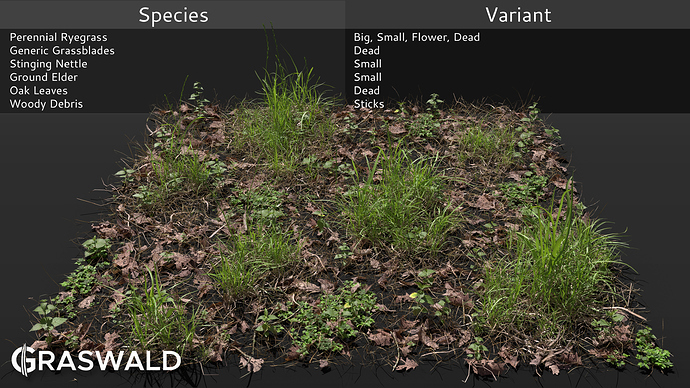 Unlike other nature asset packs where there is only one type of model for each species, Graswald assets are organized by species, but for each species, there are different sub-groups, displaying different variants of the same species. For example, if you want to add Ribwort Plantains to your scene, you can either add big plantains like you'd find in a meadow or the smaller variant that might grow in your lawn. You can also support them with the fitting plantain flowers, or some dead plantains, that are decaying below. Get the Detail you need! Every single asset was carefully modeled with reference to the structural details of the real plant. 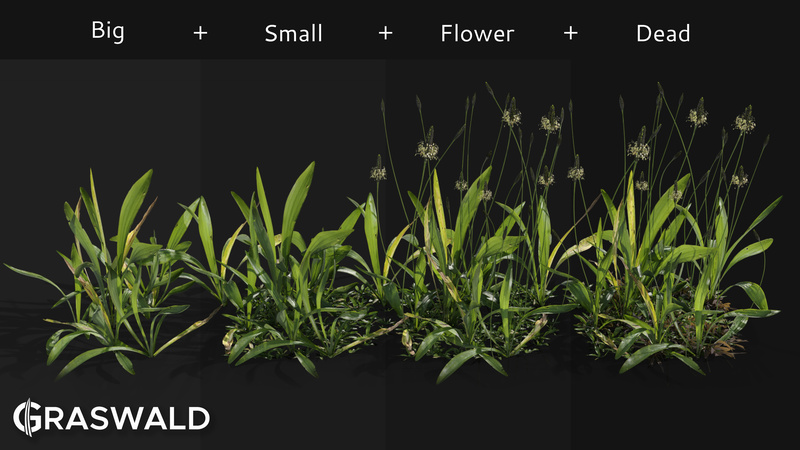 With Graswald, you'll get photoreal grass with visible nodes, sheaths, and collars or weed flowers with visible ligules and stigmata, allowing stunning detail that even holds up in close-up situations and micro shots. The high texture quality, when combined with a PBR shader, ensures that the assets will always look great in every lighting condition! Graswald doesn't only provide green grass blades and a few weeds. 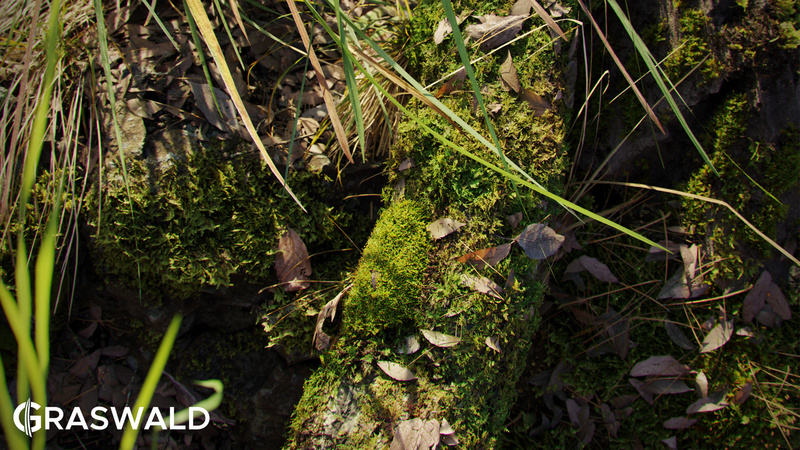 Adding dead leaves, (dead) moss, sticks, pine needles and other scatter debris lets you build environments from the ground up that look photoreal and are highly customizable. Optimized in every Way Possible! Graswald assets come in three different texture qualities: High, Medium and Low. The High texture quality is perfect for close-ups, featuring transparency and the highest texture resolution (up to 4k). 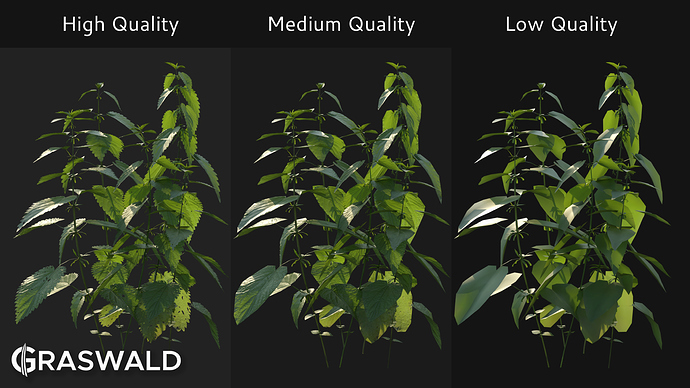 The Medium texture quality works well for larger scenes, where the plants aren't the focus or where faster rendering is needed. No transparency and a map resolution of 512px make this texture optimal for people with no time or loads of expensive computers. The Low texture quality makes scattering huge areas much easier. With no transparency and a minimal texture size of 16px, you don't have to worry about investing in detail that won't be visible in the final result, thus resulting in very fast render times. 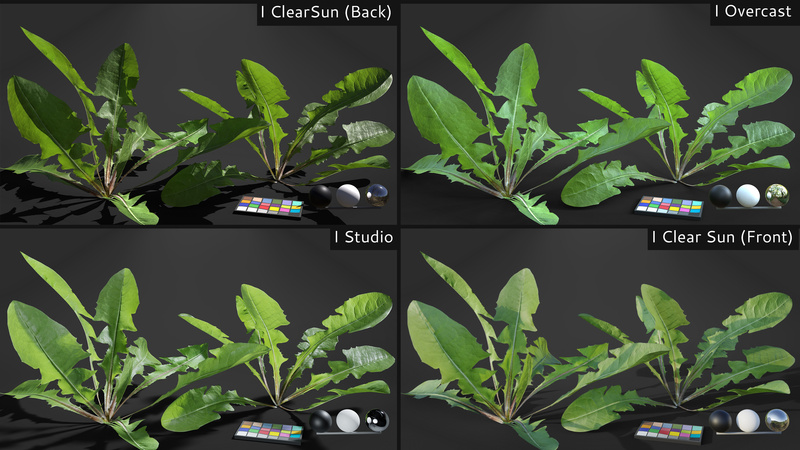 Furthermore, all assets have been modeled with optimization in mind, meaning that each model only has the number of polygons that are needed to achieve photorealistic shapes and shading. The same thoughts were considered with the transparency. Huge amounts of transparency are not only causing greater render times but can also cause weird artifacts. 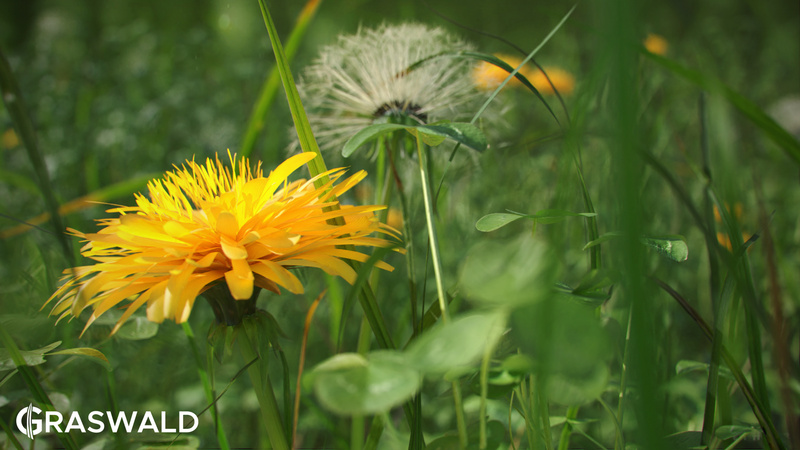 Graswald assets, however, are restricted to the lowest amount of transparency possible, leading to faster render times and less memory consumption. 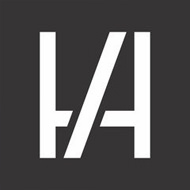 How are the assets being shipped? All of the assets are packed as FBX files. There's one FBX file per species, in which all the groups of the species can be found. All assets have a clear naming convention (Species_Variant_Number) so that they are easy to organize. Each species comes with a minimum of three different maps (Color with Alpha, Specular, Normal) using the .png format for minimal quality loss. Most of the plants come with an additional color map for the age. This can be mixed in many different ways with the basic color map, to achieve a realistic aged look. Every map comes in three different qualities: High (up to 4k with transparency), Medium (512 x 512 px, no transparency) and Low (16 x 16 px, no transparency). 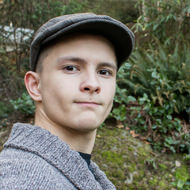 "Julius did an amazing job by putting together a package with high-quality plants, created with close attention to detail. 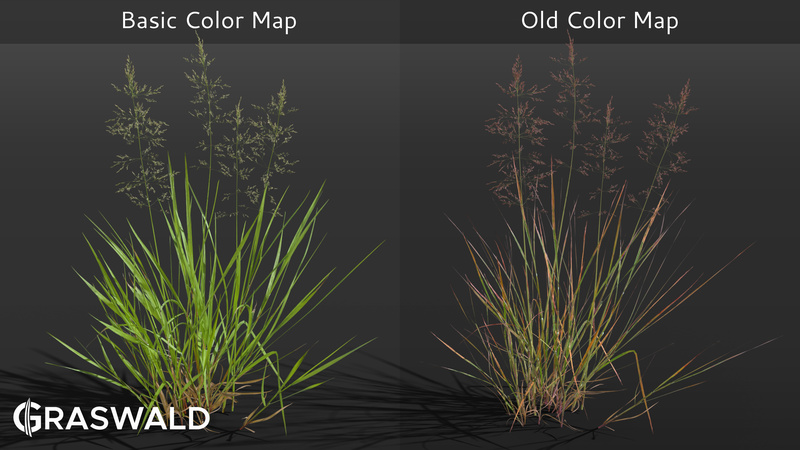 Now you can add super realistic grass to your scene in seconds. I will have a lot of fun with this tool in future projects, totally recommended! " "Usually when I try these Nature Asset packs or addons, my hopes are too high. But with GrasWald I was pleasantly surprised. The amount of work, attention to detail and quality is a breath of fresh are straight from nature. It's now going to be a part of my regular pipe-line"
"Vegetation is one of the key elements for a successful environment, yet one of the most overlooked during work. Grasswald does all the hard work for you, with insanely detailed models that doesn't blow the polygon budget. Certainly a great addition to every artist's toolbox." "I was so amazed by the ridiculous amount of detail that went into these models! When there's something I have learnt about nature assets, then that there can be never enough of them to match the beautiful variety of nature. Graswald does exactly that, offering the artist maximum flexibility." "Graswald is amazing. It offers an incredible level of details, stunning realism, and big variety. 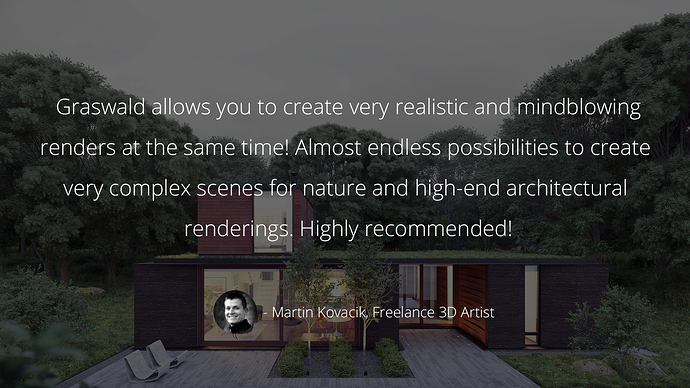 It allows you to create convincing environments without much effort." 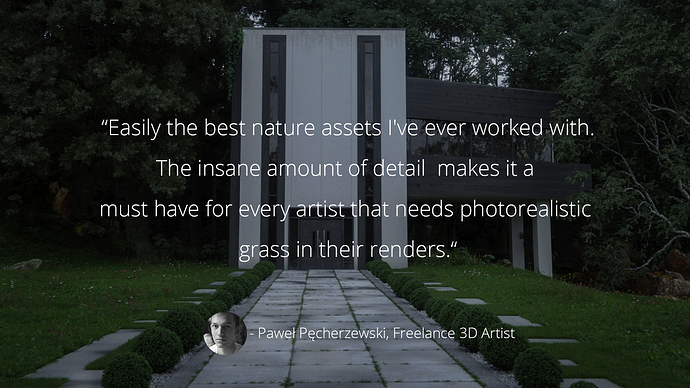 "Graswald is quite possibly the best grass and shrubs pack for blender that I've ever seen. It's got a great selection of different plants, all of which look incredibly realistic and are very useful in almost any nature scene." What do you mean with full version? Royalty free means i can use this for commercial production and modify those assets as i want? I just installed Graswald and I noticed that the version reads 1 instead of 1.1. @bkjernisted You can, of course, link the assets to your scene and then export them as whatever you want I have not much experience with Chief Architect, but you as I mentioned, you can export all of the assets yourself. You can also inside the zip file go to the packages folder where all the blends are, and then export the assets you want from there!